Performix Super Male T Performance is a precise and powerful blend of 10 cutting edge ingredients designed to help naturally support healthy testosterone activity levels. Optimizing free testosterone has been suggested to increase strength, endurance, intensity and sexual health. Performix Super Male T has been designed exclusively for males over the age of 18 featuring one of the highest ultra powerful protodioscin contents available. 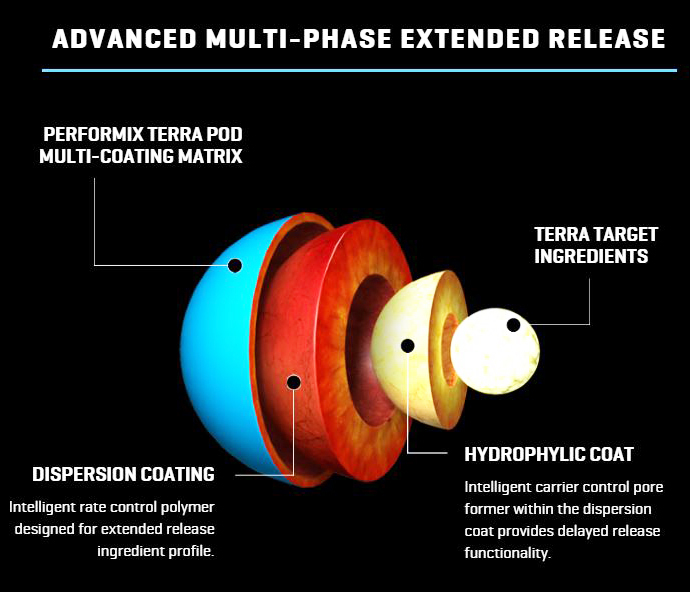 Using Terra Intelligent Dosing technology, an innovative Multi-Coating Matrix (MCM), combined with a pH-phased, delayed release functionality, Performix Super Male T delivers premium ingredients via multiple targeted release points to help offer a sustained release profile along with improved delivery. Performix Super Male T contains the novel ingredient Furosap, made with patented technology to help naturally support healthy testosterone levels. Combined with Testafuranol, Anti-Aromatase Optimizers, plus a powerful Bio-Enhancer, it creates a powerful combination of premium ingredients that will take your workout to a whole new level. Furosap uses a novel and patented process for the extraction of bioactive, high-purity furostanolic saponins, particularly protodioscin from Fenugreek. Furosap contains more protodioscin than other Fenugreek products on the market. Testafuranol is a unique extract from the plant Tribulus alatus, which contains a high concentration of saponins. The particular compounds contained within Testafuranol may help naturally support healthy testosterone levels. ZX3 is a synergistic matrix of Zinc Arginate Chelate, Zinc Citrate and Zinc Monomethionine. Zinc is a trace mineral required for numerous aspects of cellular functions, including protein synthesis as well as sexual health. Every Performix supplement is driven by their Terra Intelligent Dosing Technology. Best in class bioavailability enhancers. Maximizing every single molecule's potential… period. To out perform, out last and out do! UNRELENTING ENERGY: SUPER MALE T v2X uses the time-released SST complex containing caffeine and theacrine, to ramp up energy production fueling your drive to push past fatigue and physical limitations. VIRILITY SUPPORT: Our proven SUPER MALE T v2X testosterone support formula works to improve circulation while improving overall sexual performance. ADVANCED FAT METABOLISM: This next-level formula is designed to ignite your metabolism for a truly ripped physique. Achieve your ultimate body composition goals with unparalleled fat burning without sacrificing muscle gain. PRODUCT USAGE: Take 4 capsules in the morning. MADE IN U.S.A: Manufactured in a FDA registered facility. All PERFORMIX products are produced in facilities using cGMP (current Good Manufacturing Practice) standards and pass rigorous testing. As a dietary supplement, adults take three (3) capsules 30-60 minutes before bedtime with 8 ounces of water. For best results, avoid taking with dairy or other calcium-containing foods or supplements. Do not exceed one serving per day. Please read entire label before use.